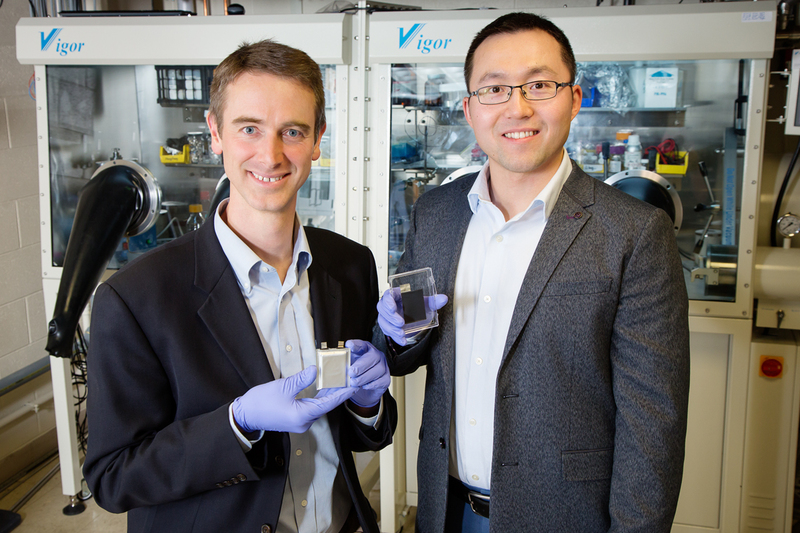 Illinois professor Paul Braun and Hailong Ning, the director of research and development at Xerion Advanced Battery Corporation, led a research team that developed a method for directly electroplating lithium-ion battery cathodes. CHAMPAIGN, Ill. — The process that makes gold-plated jewelry or chrome car accents is now making powerful lithium-ion batteries. 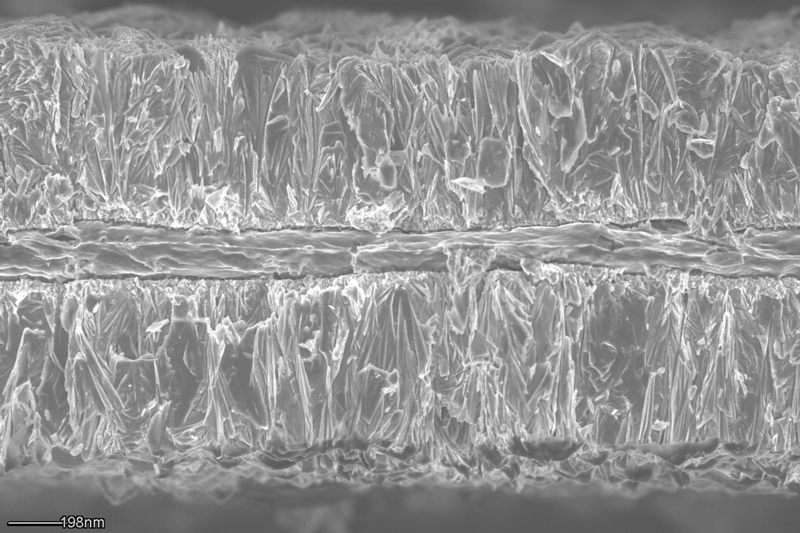 An electron micrograph cross-section shows aluminum foil plated with lithium cobalt oxide, a common material in lithium-ion batteries. 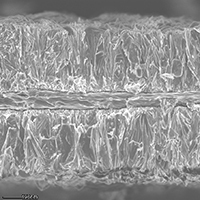 Image courtesy of Hailong Ning and Jerome Davis III, Xerion Advanced Battery Corp.
“This is an entirely new approach to manufacturing battery cathodes, which resulted in batteries with previously unobtainable forms and functionalities,” said Paul V. Braun, a professor of materials science and engineering and director of the Frederick Seitz Materials Research Lab at Illinois. He co-led the research group that published its findings in the journal Science Advances. 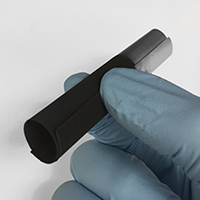 Electroplating can be applied to textured, three-dimensional or flexible substrates, opening the door to new battery designs. 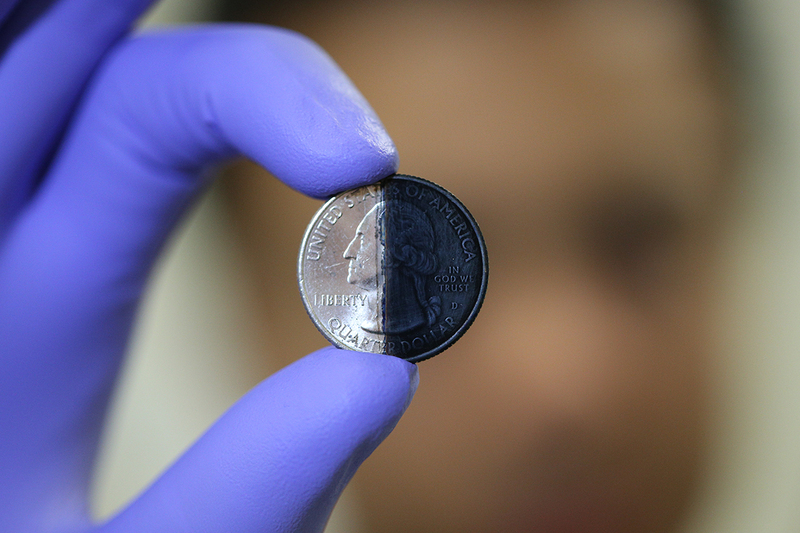 The right side of this quarter was plated with lithium cobalt oxide. 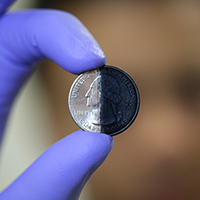 Since the electroplated cathode doesn’t have any glue taking up space, it packs in 30 percent more energy than a conventional cathode, according to the paper. It can charge and discharge faster as well, since the current can pass directly through it and not have to navigate around the inactive glue or through the slurry’s porous structure. It also has the advantage of being more stable. 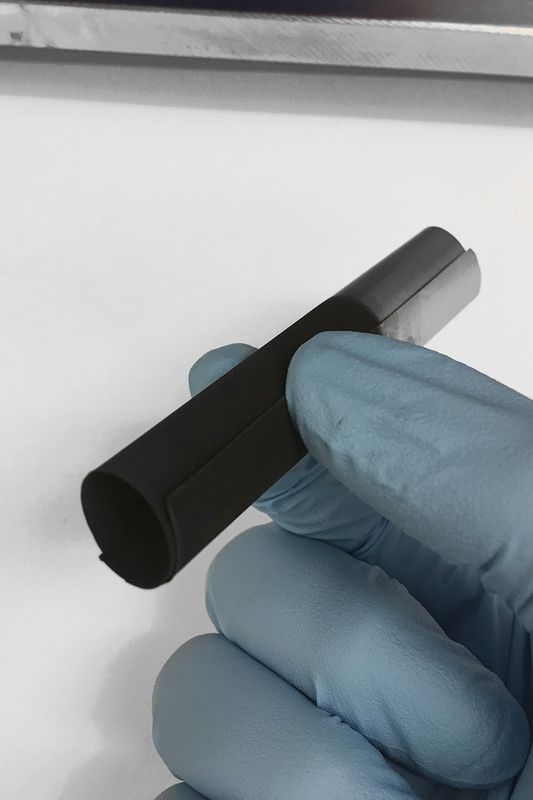 “This method opens the door to flexible and three-dimensional battery cathodes, since electroplating involves dipping the substrate in a liquid bath to coat it,” said co-author Huigang Zhang, a former senior scientist at Xerion who is now a professor at Nanjing University. The electroplating method could enable flexible, three-dimensional battery designs. This plated aluminum foil rolled up without cracking. Editor’s notes: To reach Paul Braun, call 217-244-7293; email pbraun@illinois.edu.